Previously the #1 App worldwide in all categories according to applyzer.com! Thank you for your support. We have more updates coming soon! 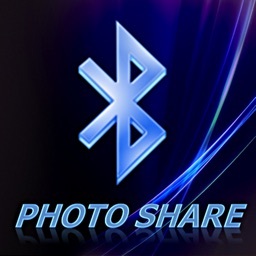 Bluetooth Photo Share Pro does not display any Advertisements. Other than that is basically the same as the free version right now, except that we are working on new "pro-only" features that will be coming soon! Please support us and buy now! 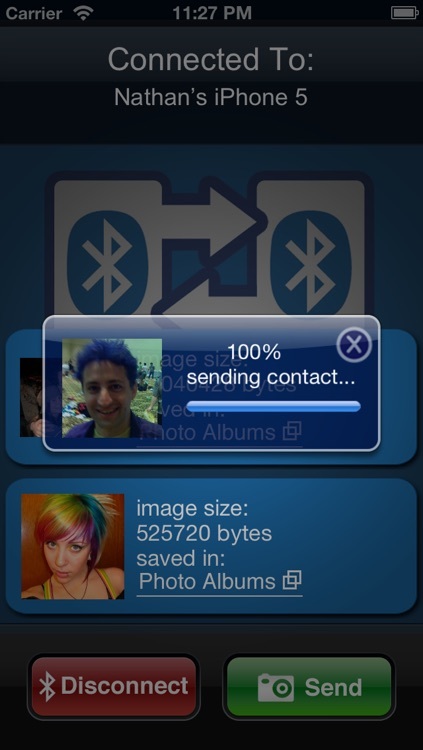 Transfer photos and/or contacts between two iPhones and/or iPod Touches over bluetooth. Requires iPhone 3G or later or 2nd generation iPod Touch or later (Bluetooth data transfer cannot be supported on the original iPhone or original iPod Touch due to hardware limitations). Does not require any 3G or WiFi connection. This is the best bluetooth photo sharing app out there!! 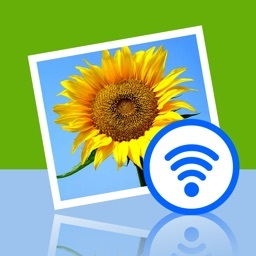 - Unlike some other photo sharing apps, Bluetooth Photo Share does not scale down or do any lossy compression of your photos before transferring. 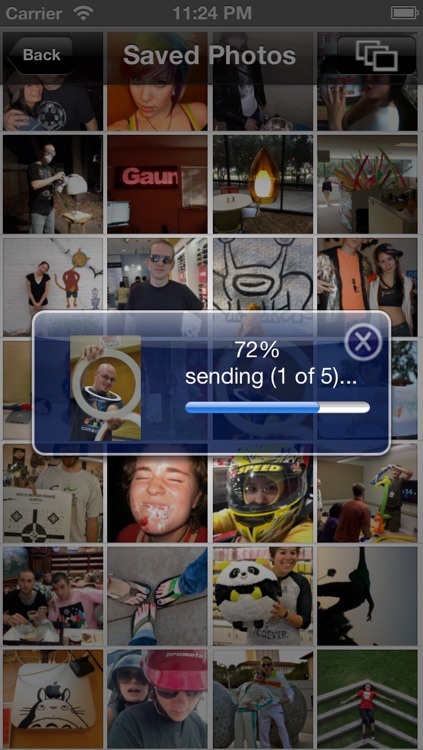 In other words, the receiver gets the exact image that was in the sender's photo library. - Allows you to transfer contacts from your address book. 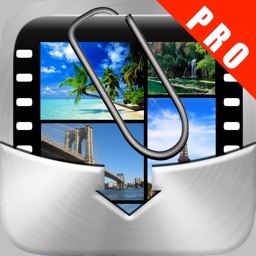 - The receiver transfer screen includes a thumbnail preview of the photo AS IT IS BEING TRANSFERRED and a cancel button so that you can cancel the transfer if you decide you do not want it. 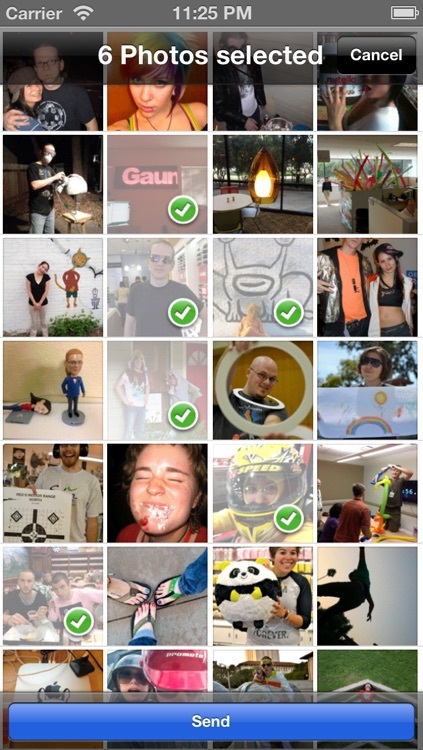 - Shows a scrollable list of thumbnails and file sizes for all of the images that you've received. 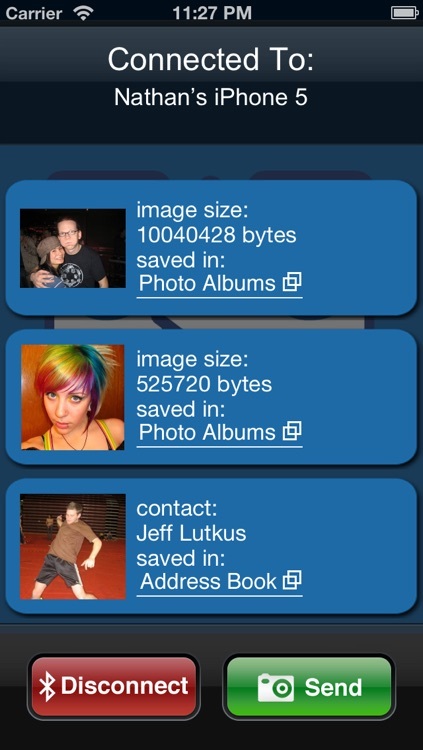 - Allows you to view your photo albums that your photos were saved in. Most of the time, the app works great. 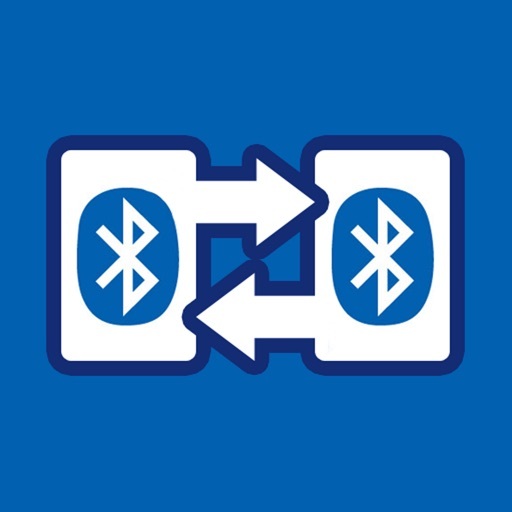 However, when people experience problems, 99% of the time it is related to connecting with bluetooth, which would be the same for any bluetooth App. If you have any trouble connecting, please check our support webpage for troubleshooting information. 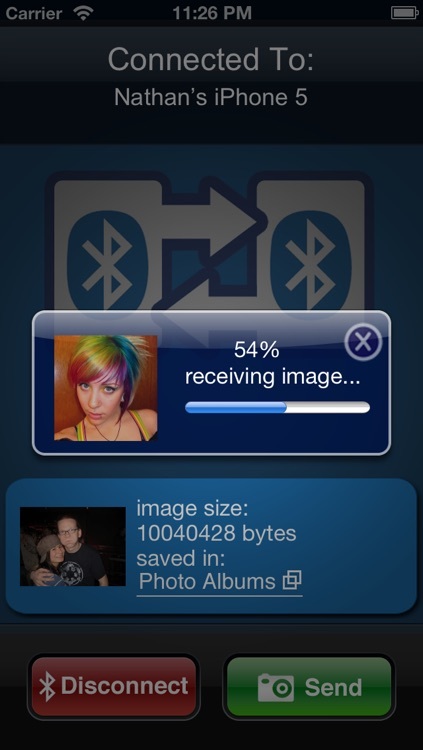 Note that if you are trying to transfer photos from your old phone or to/from your computer, there is no way to do that on the iPhone with bluetooth.